Three of North Korea’s top military officials have been replaced, a South Korean news agency reported Monday, marking an apparent shake-up in leader Kim Jong Un’s inner circle before next week’s planned summit with President Trump. The report by the Yonhap news agency, citing an intelligence source, could not be independently verified. But, if confirmed, the move could suggest a far-reaching intervention by Kim to bring in younger military overseers to replace older ranks possibly at odds with his outreach to the United States and its ally South Korea. The officials who reportedly were dropped are from some of the highest reaches of the North’s military structure, including Ri Myong Su, the chief of general staff for the Korean People’s Army. Ri was thought to be a confidant of Kim’s father, the late leader Kim Jong Il. North Korea made no immediate reference to any military changes, and it remains difficult to assess whether the shake-up could signal a significant change in North Korean policies. It appeared, however, that it represented some level of generational shift. All the officials who were reportedly promoted were younger than those dismissed, according to Yonhap, including the new general staff chief, Ri Yong Gil, who at 63 is 21 years younger than the outgoing Ri. Kim Yong-hyun, a professor of North Korean studies at Dongguk University in Seoul, said the reported new military leadership brings expertise in military-run economic affairs rather than combat strategies. 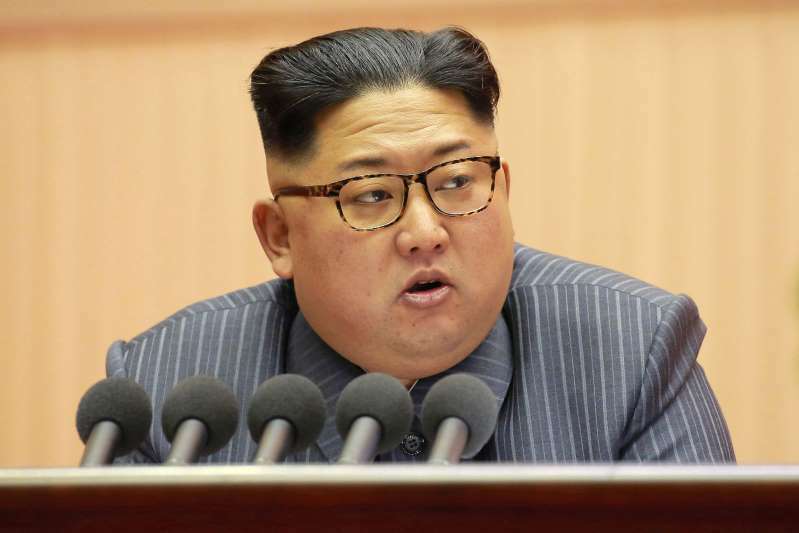 This could be a sign that the North Korean leader is “pursuing a new policy to become a developing country without nuclear weapons, rather than a poor country with nuclear weapons,” he said. “He has chosen the route of pursuing denuclearization and a peace treaty through dialogue, and is appointing a new generation of military leaders to set the tone for his vision,” Kim Yong-hyun said. “Kim Jong Un has chosen a new leadership who reflects his new approach and can more naturally propagate his new policies to bring stability within the military,” the professor said. The military moves also may be viewed as another step by Kim to underscore his willingness to make bold internal changes ahead of the scheduled June 12 summit with Trump in Singapore. But the North has given no clear hints about how far it could go toward meeting U.S. demands to dismantle its nuclear program.